Lwere Lore is a small village in a mountainous area, situated a few kilometers from Pekon. The village is famous for its orange orchards. 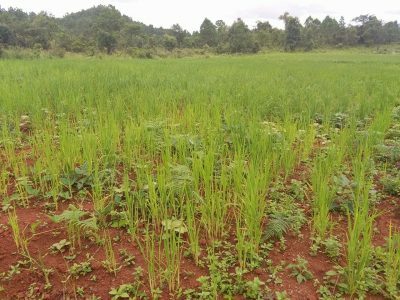 Like most of the farmer’s in Pekon area, 30 households out of 70 living in the village were and are still growing opium. The government recently tightened his control on the opium production leading to a drastic decrease over the last years. 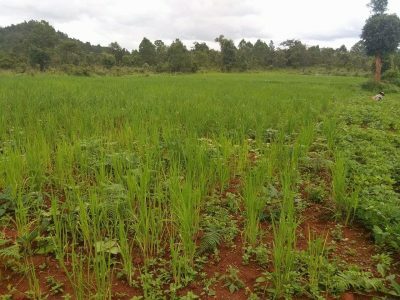 Ever since, farmers are looking for alternative sources of income. 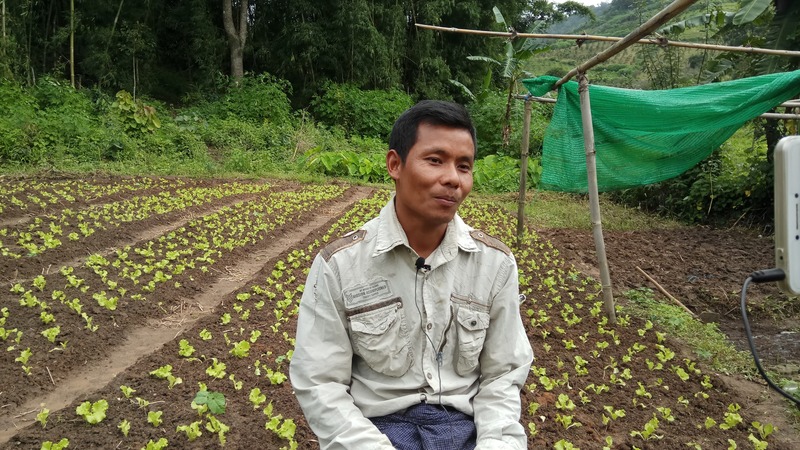 U Khin Maung engaged in a shift towards more sustainable agriculture practices in 2016. He realized that opium was no longer a sustainable cash crop and that alternatives should entail less chemicals. 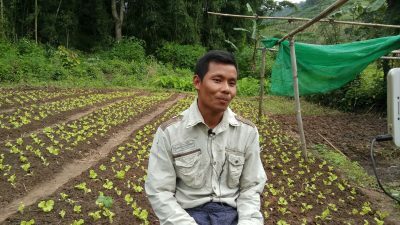 U Khin Maung grows a high diversity of vegetables on 0.4ha. 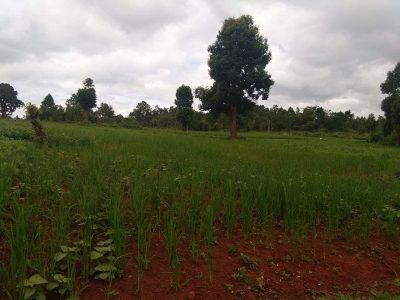 0.4 ha is dedicated to the orchard and the remaining 0.4ha is dedicated to rice, groundnut and soybean. U Khin Maung invested in an orchard made of diverse fruit trees such as orange, lemon, and banana. He also grows avocado, coffee, rice, groundnut, beans, corn and soybeans as well as vegetables such as mustard, potatoes and tomatoes. 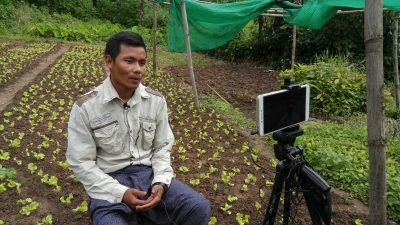 In 2016, U Khin Maung attended a 3 month training on organic agriculture conducted by Kalyana Mitta Foundation. When returning to his village, he could observe that some farmers were already practicing organic agriculture which motivated him to try. He drastically reduced the use of chemicals in his fields, especially his orchard. 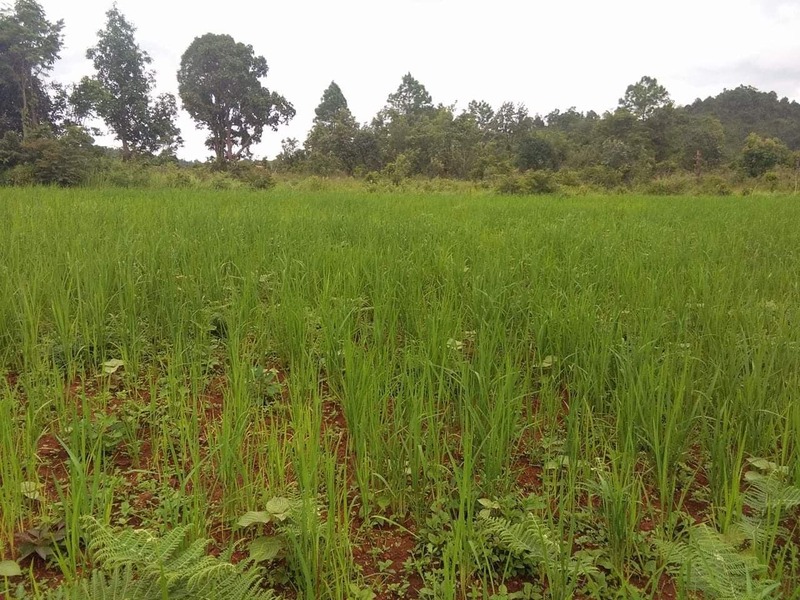 To boost the soil fertility, U Khin Maung uses various agroecological methods such as composting (“bokashi”: charcoal from rice husk, groundnut cake, cow and chicken manure, kitchen ashes), rotation (rice/soybean). He makes his own bio pesticides mixing tobacco with soap, chilli with alcohol, neem leaves. 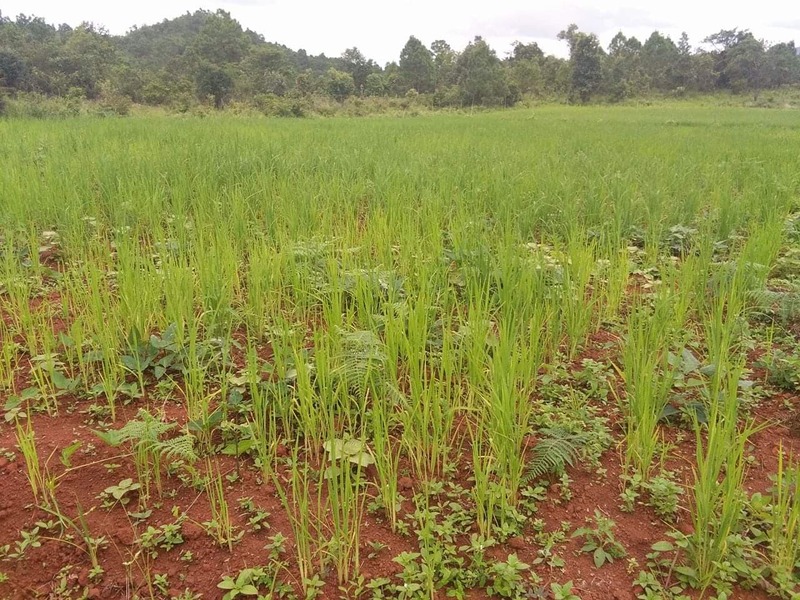 Tin Hla demonstrated efforts to maintain soil fertility and is good at preserving biodiversity and natural resources. He also benefits from some autonomy through self-building and repairing his farm equipment’s thus creating very favorable conditions for mid-long term production. As U Khin Maung does not rear livestock, he still depends on external sources for manure and some other cheap ingredients he uses for the compost.